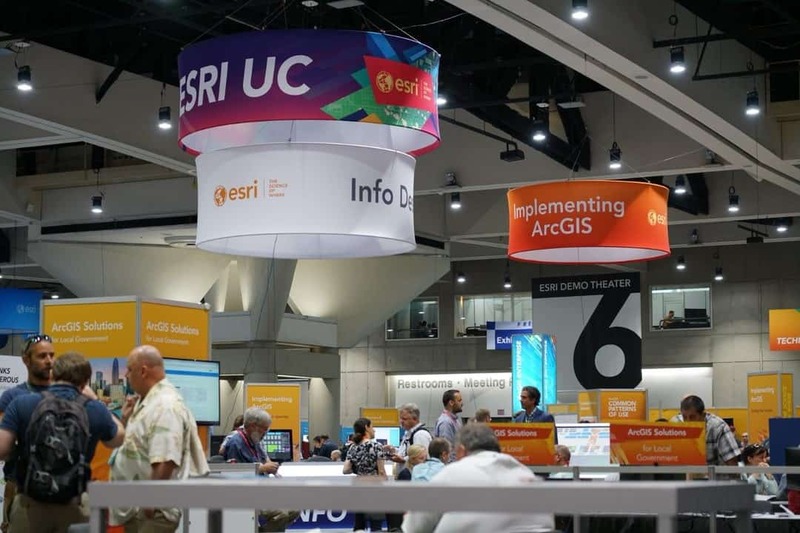 Innovative ways to use geographic information systems (GIS) to solve a spectrum of global challenges were explored at the 38th annual Esri User Conference in San Diego, Calif., July 9 to 13, 2018, with ME&A Senior Vice President Carlos Beale and Project Coordinator Thomas G. England in attendance. Presentations focused on building smarter organizations that can tackle complex global issues, including how to create more sustainable businesses, address homelessness, diminish poverty, and counter the effects of climate change. Specific examples included the use of GIS software to map the cave where children were trapped and saved from in Thailand; the use of Esri technology to inspire and organize communities to build volunteer organizations persuing social justice; and activities related to apps to plant trees, bottle water in carton containers instead of plastic bottles, and donate GIS software to students in K-12 schools worldwide. ME&A’s Carlos Beale at the Esri conference. One of Beale and England’s most important takeaways was that companies and organizations that do not develop GIS capabilities will fall behind. The contacts and information they gathered were shared with ME&A chiefs of party in Armenia, El Salvador, and Tanzania to use to enhance their projects. The contacts and information will also be used to enhance ME&A’s monitoring, evaluation, and learning (ME&L) work. 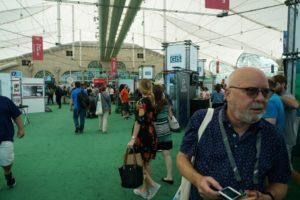 For decades the annual Esri event has drawn international technology experts, scientists, educators, business executives, and GIS users from every discipline seeking to transform their organizations through location intelligence and mapping technology. This year’s event drew more than 18,000 mapping and GIS users from around the world. Esri is a global market leader in GIS software. ME&A makes extensive use of GIS applications in our ME&L activities worldwide as well as our USAID/Armenia Advanced Science & Partnerships for Integrated Resource Development (ASPIRED) Project.